King Herod, known as “Herod the Great” for his amazing military, political, financial, and architectural genius, ruled Judea from 40 BCE – 4 CE. The number and scope of projects that he was able to complete is almost unbelievable. It would appear that he had a dream team who imagined impossible projects and then found ways to accomplish them. And not just a few of these; he had palaces, temples, aqueducts, stadiums, and theaters going on all around the country — all at the same time! 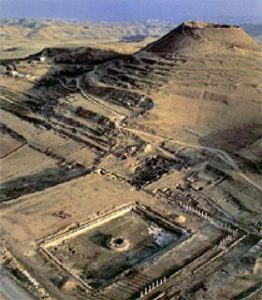 One of these projects, the Herodium, 3 miles southeast of Bethlehem, is one of the most fascinating structures of all time. 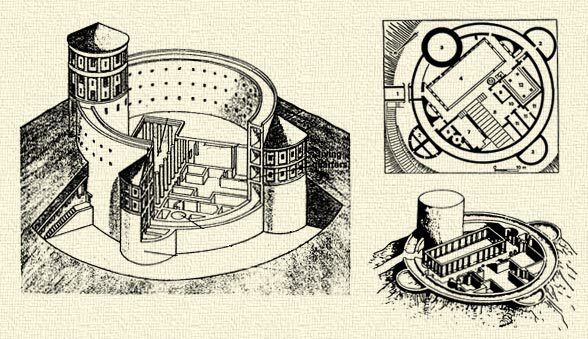 The upper palace/fortress was constructed as a double walled cylinder 214 feet in diameter reaching a height equivalent to a 7 storied building. This completed structure, built on top of an existing hill, towered more than 400 feet above the surrounding desert floor. 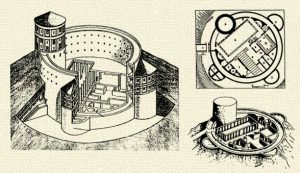 For structural strength and defensive security, the base of the cylinder was covered by an artificial hill with steep embankments. The tremendous volume of earth required for this came from the top of the adjacent hill and Herod used thousands of workers to literally move a mountain from one place to another. His own upper palace was replete with courtyards, hanging gardens, a huge cistern system, bath houses, and balconies. The lower palace, despite its lack of a local water source, had lush gardens surrounding an enormous swimming pool large enough for boats to carry Herod’s guests out to a private island in the center of the pool. 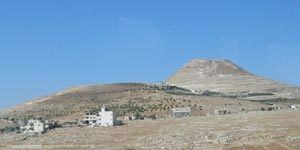 From the shepherds of Bethlehem to the priests in Jerusalem, all would have been reminded of the presence of Herod every time they saw the volcano-like hill in the distance, or any time they encountered one of his many buildings. But what would they have been thinking? Would they have admired his ingenuity and achievements or would they have despised him and feared for their lives? The lesson we should learn from all this is that the Lord is not impressed by what we might accomplish — he is only interested in our hearts. We can also be sure that Herod, and all those like him, will one day learn that the wise men had it right.